January 30 – FIFA could sanction Chelsea if the governing body finds the London club guilty of breaking regulations with regard to ‘transfers’ of more than 100 under-aged players from overseas. 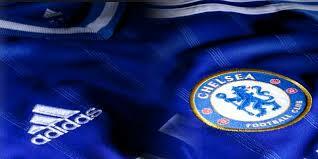 Chelsea maintain they have complied with the rules. The world governing body is inching closer to the end of its investigation which was started by the compliance unit of its transfer matching system (TMS) and FIFA’s disciplinary committee. Football clubs cannot bring in minors from abroad with foreign nationalities, unless they meet one of two criteria: if the player’s parents have emigrated for reasons not connected to football; or both the player and club are based within 50km of a national border, and within the European Union or European Economic Area when the player is aged between 16 and 18. Chelsea recently signed Dortmund’s American boy wonder Christian Pulisic and Gonzalo Higuain joined the west-London outfit on loan from Juventus, which may be seen as pre-emptive action by Chelsea, afraid they may have a ban on the horizon. FIFA has come down hard with transfer embargoes in the past on clubs who systematically breach the rules. Barcelona, Real Madrid and Atlético Madrid were all sanctioned after FIFA investigations found infringements related to the signing of minors, being punished with a two-window transfer ban. Currently, Chelsea and four other Premier League clubs are under investigation. Part of FIFA’s investigation is set to turn on the case of the signing of Bertrand Traore. The attacking midfielder joined the club in 2014, but played a number of games for Chelsea’s youth team when he was 16. French outlet Mediapart has claimed that Chelsea paid £154,000 to Traoré’s mother and £13,000 to his former club AJEB to take him from Burkina Faso in 2011. If FIFA slaps a ban on Chelsea, they can appeal and also seek recourse at CAS.